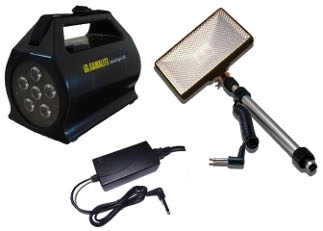 This amazing new portable lightweight Area Lighting system has the best of everything with it’s New high powered 3000 Lumens Searchlight and it’s incredible 6500 Lumens hands-free floodlighting for over five hours at a time. Low 1500 Lumens 11 Hours. Low 2000 Lumens 11 Hours.